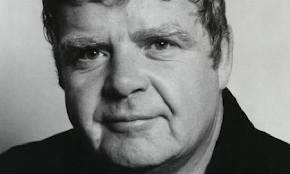 Actor Geoffrey Hughes, famous for his roles in Coronation Street and Keeping Up Appearances, has died aged 68. Hughes, who was known to millions for playing binman Eddie Yates in the soap during the 1970s and 1980s, died on Friday night after a two year battle with prostate cancer. Friends and former colleagues have paid tribute to the star describing him as a "warm, lovable actor, with great comedy timing." Ricky Tomlinson, who acted alongside him in The Royle Family, said: "Geoff wasn't just an actor. He was my mate. I used to call him every few weeks but hadn't spoken to him in about a fortnight. It's such a loss." William Roache, who plays Ken Barlow in Coronation Street, added: "I am so sorry to hear about Geoffrey. He was a warm, lovable actor, with great comedy timing. He will be greatly missed, one of the Street's memorable characters." Hughes first appeared in 1960s classics such as Z-Cars and The Likely Lads and was the voice of Paul McCartney in the Beatles film The Yellow Submarine. He also played roles in Heartbeat, teen drama Skins, Doctor Who, Casualty, Boon and The Upper Hand.